< 1 > < ENTER> denotes that a new file is to be compiled for recording onto magnetic tape. After each "Y = " enter the next item of data. If any error is entered, ignore it and continue making entries. After the last data has been entered, enter E99. 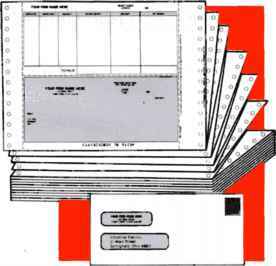 <0> (ENTER) denotes that an existing file on magnetic tape is to be loaded into the computer memory for expansion or correction. The next message is, "GET DATA TAPE READY." (ENTER) will start the loading from the magnetic tape into the computer memory. 5. "LASTX= ,Y= " is printed after all the data has been entered into memory either manually or from a tape. (ENTER). (1 > (ENTER) will provide for entering more data, exactly as described above for compiling a new file. Again, enter E99 after all the new data has been entered. (0) (ENTER) moves to the next step if no new data is to be added. (0) (ENTER) denotes that no review is required and that the data is ready for recording. The next message is, "GET TAPE READY." (ENTER) will start recording of the data on magnetic tape. 8. "ALL VALUES CORRECT?" This question always follows the completion of the review of data. (1) (ENTER) denotes that all the data is correct and is ready for recording. The next message is, "GET TAPE READY." (ENTER) will start the recording of the data on magnetic tape. (0) (ENTER) will lead to thre,e methods of correcting the data, as described below. Each of these three methods may be skipped, or ended, by entering 0 for the sequence number. 9. "SEQ # OF ERROR?" In response to this question, enter the sequence number of the data that is in error, or 0 if there is no data that needs to be corrected. When "CORRECT Y = " appears, enter the correct value for the data. 10. "DELETE SEQ #" Enter the sequence number of any data that is to be deleted, such as a data value that was entered twice by mistake. The data will be deleted and all the data values that follow will be moved up to close up the gap in the sequence. (A caution: If you are going to correct more than one item of data, remember that the sequence numbers have now been changed.) Enter (0) to move to the next step. 11. "INSERT NEW SEQ #" Enter the sequence number for the data to be inserted. Then enter the new data in response to "NEWY= ". All the data that follows will be moved to the next higher sequence number to make room for this new data in its correct location. When 0 is entered for the sequence number, the program returns to "REVIEW DATA". Note: In this article the 'E' in 'E99' is the <Exp> key found on the PC-1 next to the ( +) key.